In 2019, Poland is celebrating the 90th anniversary of the return of the European bison. The European bison is the largest mammal on land in Europe, and present in several populations. Many conservationists and researchers continue their work to secure the future of this species. The Polish General Director of the Environmental Protection has a different point of view, as Greenpeace Poland states. With the Director’s latest approval, Poland will kill 40 bison this year. The consent for killing 40 bison regards the individuals as unwanted for several reasons. Some individuals are supposedly carrying diseases, while others are perfectly healthy. In other cases, the population size is apparently to big. It is not the first time that Poland is trying to reduce the number of bison. In 2017 and 2018, there was a lot of international attention demanding to stop the bison hunt. Greenpeace Poland even published a thorough report alongside a petition with over 80 000 signatures. Back then, Poland wanted for example to kill 10 bison in the Borki Primeval Forest, as the population of 111 individuals exceeded the limit of 95 that was set by authorities. The Polish Ministry of Environment started a discussion on the status of the bison in response to Greenpeace’ actions early 2018. So far, no major changes occurred and unlawful hunting practices continue. In fact, there are even hunting advertisements on the internet, promoting the bison hunt in Poland. According to the Environmental Protection office, killing bison is the only solution. Opponents do not share the view that killing is the only solution. Also according to regulations, all other means must be implemented, before killing can be used as last resort. 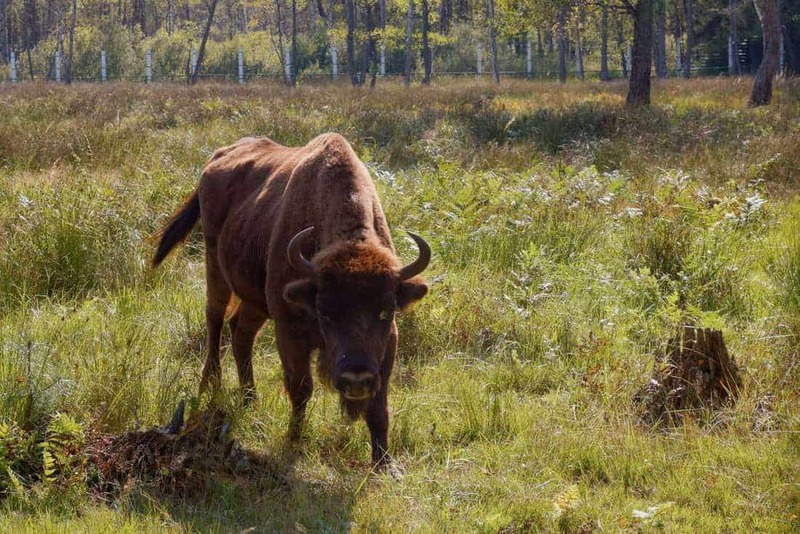 A big bison population is residing in Bialowieza Forest, which is also facing large pressures. Last years, the EU threatened to fine Poland for illegal logging operations in protected old-growth parts of the forest. The European Court of Justice declared the logging unlawful, as the excuse of preventive bark-beetle control was incorrect. Save the Date for the U.S. Wilderness Ranger Academy 2019! Photographer Peter Bino: Wilderness is around us! This comment was written by J.D. Ferro, requesting to post this on his behalf. I was trying to post a comment in this article in your website but it was impossible since the Post Comment button was covered by the Partners information making it impossible for me to comment the comment of Madam Prof. Olech-Piasecka. If you would be so kind to repair the page or to post my comment since this subject is very dear to me. To this last comment I have a few things to say. First of all you mention that bison experts were included in the research team to give opinion about the process of culling the bison but you must correct it since the only ones included were the of the State Forest and no one included the opinion of the Mammal Research Institute since the opinion of the researches from this Institute are contrary to the opinion of the State Forest and the Environmental Ministry and very negative regarding all the process and the philosophy behind it. Different NGO’s including Greenpeace base their information in local research made by local experts they don’t take information from the air and they do discuss it with the local experts (maybe not the experts the government prefers). The way the information is applied is debatable and many times as much propaganda as the information delivered by the State Forest or the Polish Government. The bison population is growing because the carrying capacity allows for it and the numbers presented by the government to limit the bison population are not based on the capacity of the environment to sustain the population but on the numbers accepted by the Forestry services to limit the bison impact in what they call managed forests. Otherwise how would you explain that the carrying capacity of Bialowieza is about 1 bison for each 50ha of land like it was 8000 years ago?! The best way to preserve the genetic diversity of any population is not by shooting them even when you use an argument like tuberculosis outbreaks, maybe you are not aware but deseases are part of nature cycles. Elimination or hunting has the same efect… a dead animal, you can call it in a fancy way but the practical efect is the same and the moral of it very questionable when the all european bison population in the world is just a bit more then 6000 individuals. And the last of your arguments could not be more far from the truth! That the bison profit from forest logging is at least sad and neither the director of the Mammal Research Institute neither the director of the Bilaowieza geobothanical station agree with this argument since logging is only good for the pockets of some people in the wood business. The last statement, Madam Prof. Olech-Piasecka with all the respect for you as a person I must say every body in the real scientifical community in Poland and abroad knows your philosophy and the kind of statements you do and how far they are from the general perspective of modern bison conservation. Dear prof. dr. Olech-Piasecka, thank you for your extensive additional information and point of view. If you want to share documents and data on this, you are more than welcome to contact us directly. We would gladly share more positive news on the Polish European bison situation. First. the 90th anniversary not “of the return of the European bison” but of the beginning of restitution in Bialowieza – so we can tell about return to Bialowieza. In 2015 we have 150 years anniversary of breeding the European bison in Pszczyna. Second. The Polish General Director of the Environmental Protection decided to give permission for killing some number of European bison after detailed and long process of collecting the opinions from those who are specialist in the area. The Greenpeace is organization without specialist in the area of European bison conservation and it is very sad this NGO is not discussing the problem with people directly involved in species conservation in Poland but it is making the sensation in media. You wrote 40 animals will be killed and remember that in Poland in last years we have ca. 250 new born European bison every spring. So from demography point of view it is some percent and population is growing every year. The reason of killing is health status and welfare of animals. We are making very detailed health monitoring to prevent the species (we have few times tuberculosis outbreak). Also post mortem we collect oocytes and sperm and conserve them for future just because of low genetic variability of the species. Third. The European bison is no hunting species so elimination is no hunting. In previous year it was possible to pay for killing and taking trophy. This is a method of collecting money for conservation accepted by IUCN. Fourth. European bison needs open spaces but within forested area, so any logging is profitable for the species. So it is not true that any cutting trees in managed part of Bialowieza Forest could have negative influence on European bison – completely opposite – for European bison the forest management is profitable. Now with many dead trees in Bialowieza forest only large carnivores have good condition because deer or wisent cannot easily escape. Please learn more about the subject before making such news. Please visit website of those who are working for species conservation, those who collect and give money for this. And please do not believe the first organization who is complaining without checking the other side. Also please very much – always use European bison (two words) or wisent because the only one word (bison) can mean any of two species from the genus.